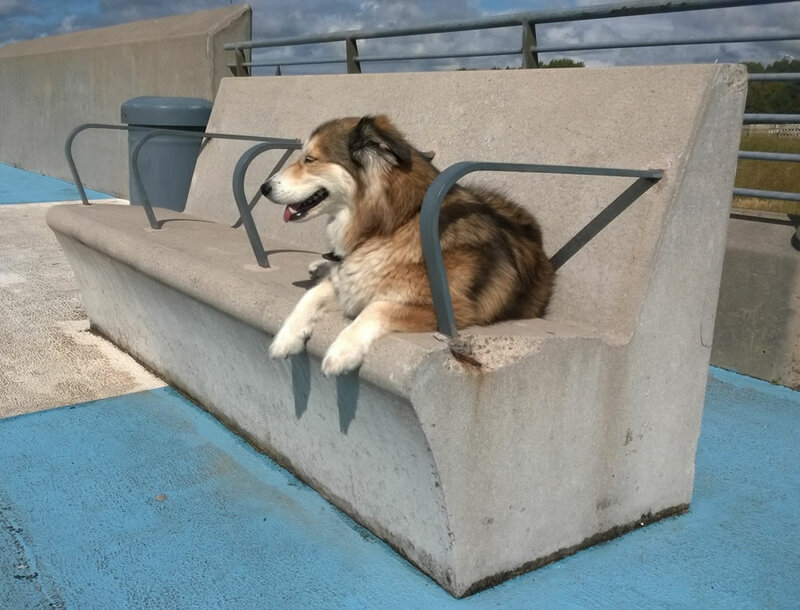 Enjoying the sun on the daily ‘recharge’ walk… note the architectural concrete bench… good taste that dog! This entry was posted on Wednesday, July 8th, 2015 at 2:17 pm	and is filed under General. You can follow any responses to this entry through the RSS 2.0 feed. You can leave a response, or trackback from your own site.